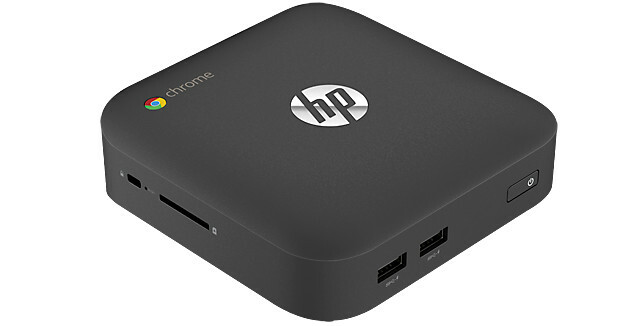 A mere slip of a thing, HP’s new Chromebox is a tiny desktop computer running Google’s Chrome operating system and comes in two CPU flavours. HP will be unleashing two versions of the little fella, one with an Intel Celeron 2955U processor and a beefier version packing a powerful Intel Core i7-4600U chip. Both 5″ x 4.9″ x 1.5″ boxes will also come with 16GB of solid state storage and 2GB to 8GB of RAM, with a SDXC card reader offering further memory expansion options. The Core i7 model has two SODIMM slots, while the Celeron model is restricted to one. 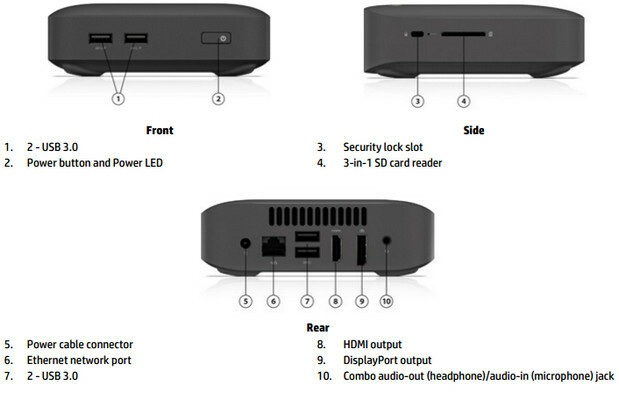 Connection-wise the machine comes with a full suite of Gigabit Ethernet, 802.11b/g/n 2×2 WiFi, Bluetooth 4.0, HDMI port, DisplayPort, 4 USB 3.0 ports and a mic/headset jack. Pricing has yet to be announced, but this site estimates that the Celeron model will retail for around $200 with the Core i7 version retailing for $600 and up.